Hello BookLikes! So Long GoodReads! ~ Fun Food Life! Hello BookLikes! 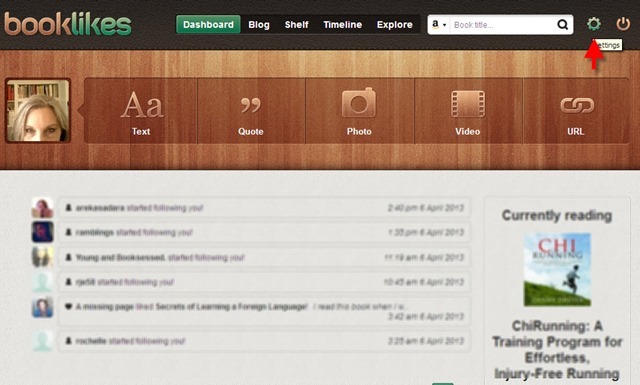 So Long GoodReads! After reading about Amazon’s purchase of GoodReads I decided I needed to move my books out of GoodReads and close down my account there. I just don’t want Amazon.com to have such easy access to my reading preferences. I looked around the internet for alternative websites, tried out a few of them, and then I landed on BookLikes.com. BookLikes is a fairly new website and it does not provide the same type of and level of functionality as GoodReads, but BookLikes is a refreshing change from GoodReads! My first impression of BookLikes was that it was a very beautiful and welcoming place to be. So far I have found the BookLikes staff to be very tuned into and responsive to their users’ needs and requests. 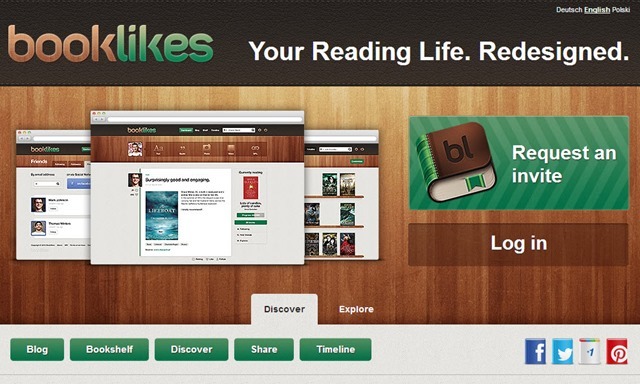 BookLikes appears to be committed to keeping the site an independent oasis for book lovers and readers. I’m planning to settle in and see how things continue to evolve. If you are already a GoodReads member, it’s pretty easy to migrate your books and any reviews you’ve created over on GoodReads to BookLikes. 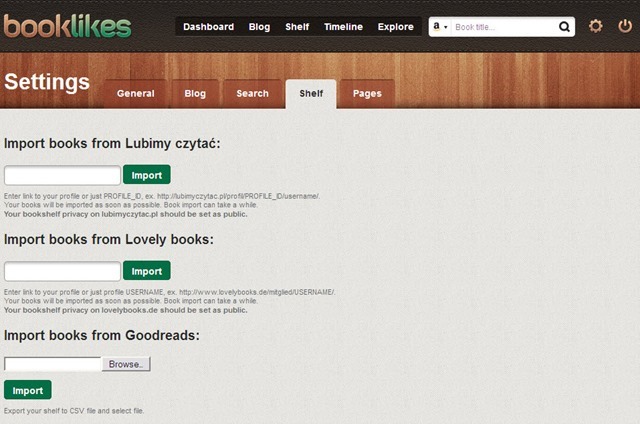 To easily migrate your GoodReads data, just follow the steps I’ve documented below. 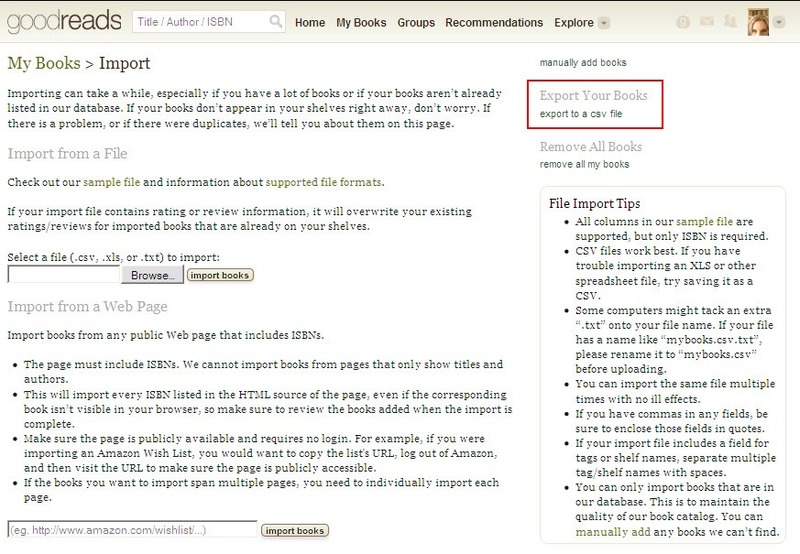 Scroll down to the bottom of the bookshelves panel (on the left side of the screen) and select the “import/export” option (see red arrow in the screenshot below). Select the “export to a csv file” option found in the right hand panel of the screen (see the red box in the screenshot below) and select the “save to file” option in the ensuing popup. Now you are ready to move your data to BookLikes! If you haven’t already done so, go to the BookLikes.com website and click on the green “Request an invite” button. You’ll be prompted to enter your email address into a dialogue box and send a request to BookLikes. After a few minutes go check your email for the invitation link. Click the Shelf Tab and then select the “Browse” button under the “Import books from GoodReads” heading. 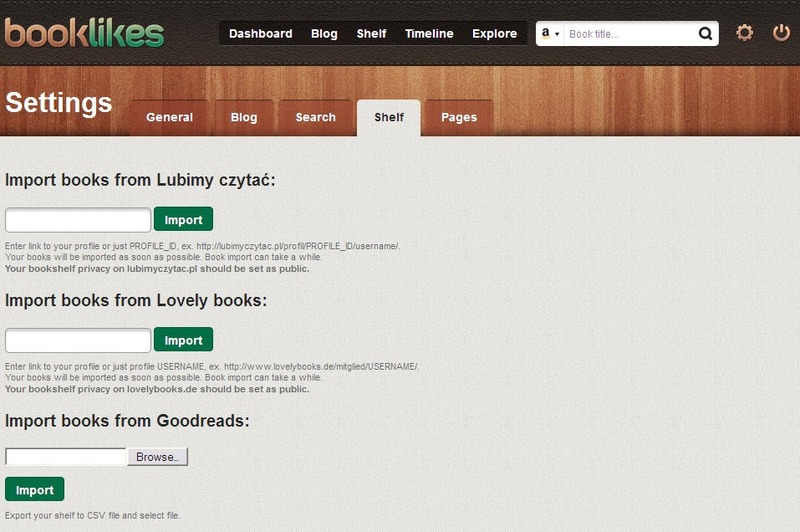 A file explorer box will open up to let you navigate to the place on your computer where the GoodReads.csv file is stored. After you select that file, select the green “Import” button. 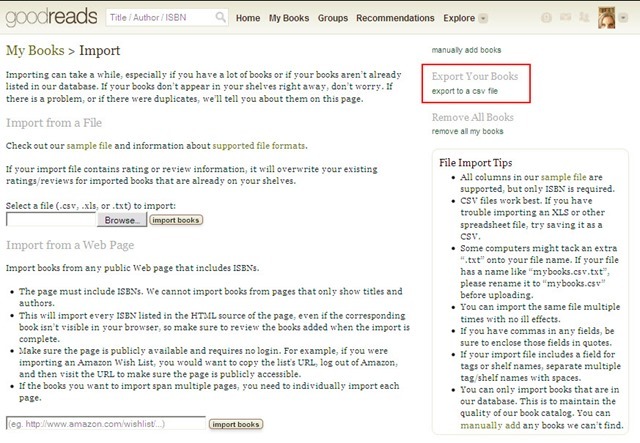 BookLikes will add your request into their import queue, so you may have to wait several hours before your books show up on your BookLikes shelves. 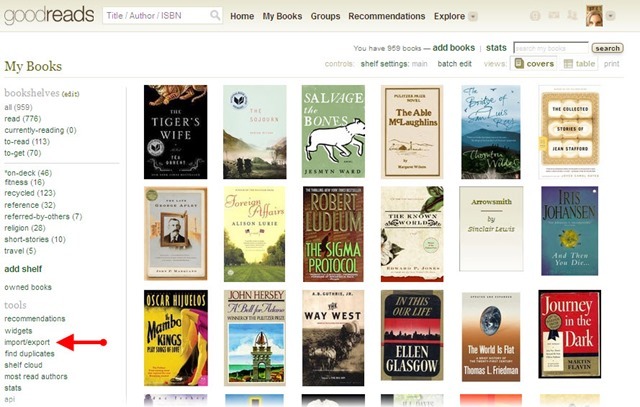 When I imported my GoodReads data into my BookLikes account, it took about 24 hours before I saw any books on my shelves.